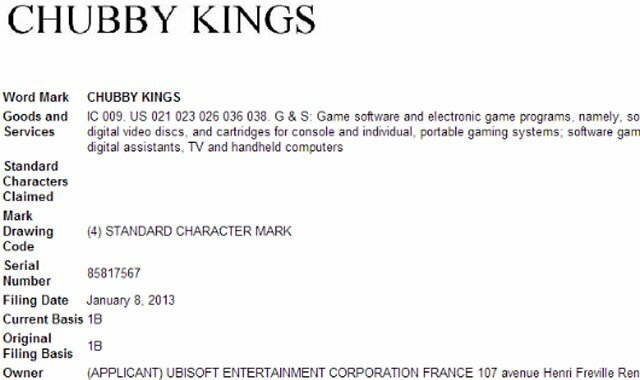 In addition to being one of the potential companies in the hunt for THQ’s assets, Ubisoft has also kept themselves busy this past week by filing trademarks in both Europe and the United States for something called Chubby Kings. As is typically the case with all trademark applications, the actually paperwork reveals very little about Chubby Kings. The only thing that is perfectly clear is that it is a video game, although the delivery method and platform could range from anything from a cartridge on a console, to a digitally released handheld game, and every combination in between. With nothing else to go on, it’s anyone’s guess as to what Chubby Kings will actually turn out to be. Our very own Chaz Neeler is hoping for a Just Dance spin-off workout game that features nothing but round after round of The Twist by Chubby Checker. Hey, a little wishful thinking never hurt anyone. We will keep any eye out for any official mention of Chubby Kings from Ubisoft and let you know as soon as anything turns up.